“I decided not to cook this year.” “It’s just the two of us.” “I’m visiting from out of town and would like a Thanksgiving meal.” Whatever your reason for dining out this Thanksgiving, count on these restaurants to make you feel at home… and grateful. 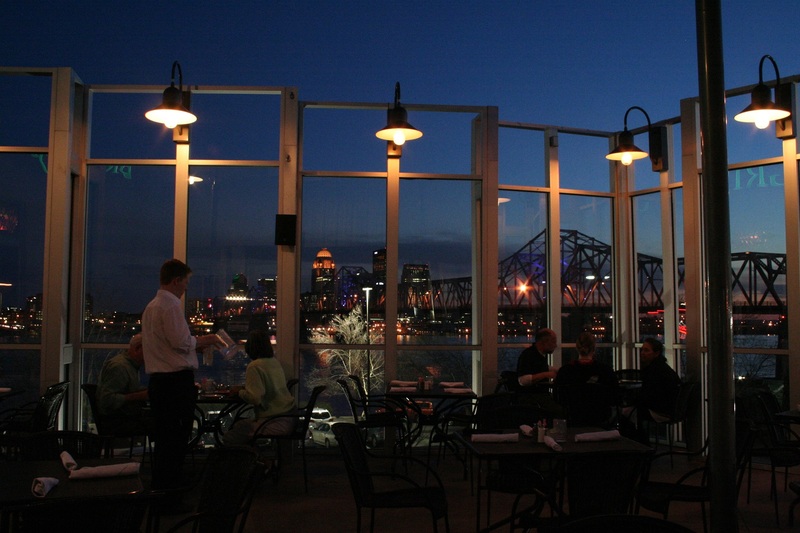 The Bristol Bar & Grille has a spectacular view of the Ohio River and Louisville, KY skyline. The Bristol Bar & Grille will serve Thanksgiving favorites served buffet-style, featuring dishes from its locally-sourced farming partners. Alcoholic beverages, including Bristol’s unique wine selection hand-picked by Master Sommelier Scott Harper, will be available for purchase. If you would like a Thanksgiving meal catered, Bristol catering offers party platters and side dishes. Orders can be pre-ordered and picked up Wed., November 23. A minimum serving of 25 is required for each order. Cost for buffet: $25.95 per adult, $7.95 for children ages 4 to 11. Beverages and tax not included. Reservations and catering: (812) 218-1995 Info: www.BristolBarAndGrille.com Joe Huber&apos;s Thanksgiving meal is full of down-home flavor and home-cooked goodness. 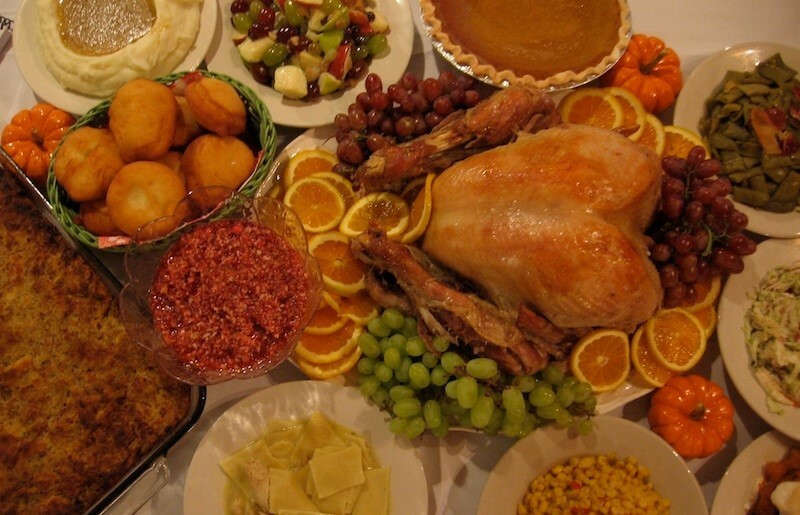 Joe Huber’s will offer its traditional Thanksgiving Day Buffet. The menu includes: oven roasted turkey, homemade dressing, real mashed potatoes with gravy, green beans, corn, chicken and dumplings, fried biscuit with apple butter, country slaw, Waldorf salad, fruit cobblers with ice cream, and unlimited beverages. Cost: $19.99 (all you can eat) per adult 12 years and older, $9.99 per child ages 4-11, and ages 3 and under are free. 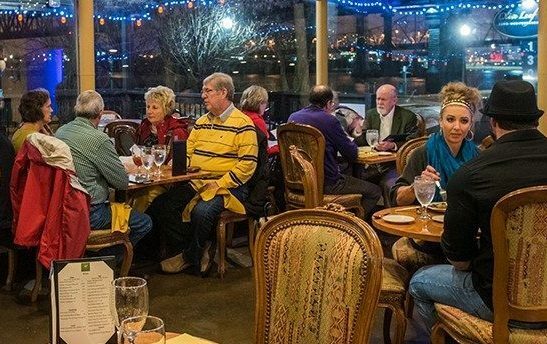 Reservations: (812) 923-5255 Info: http://JoeHubers.com/events/traditional-thanksgiving-day-buffet A cozy atmosphere and riverfront view will accompany your Thanksgiving meal at Olive Leaf Bistro. Rails Craft Brew & Eatery is one of Clarksville’s newest restaurants, located at the historic John McCulloch house. It will have a traditional Thanksgiving buffet where you can choose from turkey, ham or a prime rib carving station to start. Then round it off with classic sides. Non-alcoholic drinks are included. Two seatings are available at 11:30 a.m. and 2 p.m. Reservations are required. Call (812) 845-3496 to make your reservations today. Cost: $19.99 per adult 10 years and older), $10.99 per child ages 3-10, and ages 3 and under are free. Info: Rails Craft Brew & Eatery Click HERE for dining options throughout the year.